What is Excel SUMIFS Function? Excel SUMIF Function sum up an array (a range of values) if condition is met. Excel SUMIFS function is an advanced version of SUMIF, allow you to set multiple conditions. sum_range The actual cells to add, if you want to add cells other than those specified in the range argument. 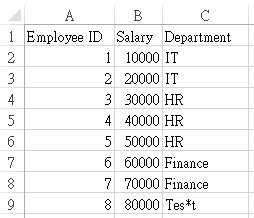 If the sum_range argument is omitted, Excel adds the cells that are specified in the range argument (the same cells to which the criteria is applied). criteria_range The range of cells that you want evaluated by criteria. Cells in each range must be numbers or names, arrays, or references that contain numbers. Blank and text values are ignored. criteria The criteria in the form of a number, expression, a cell reference, text, or a function that defines which cells will be added. Note carefully that if you apply condition on number, you should double quote the criteria. If your criteria on number is without a conditional operator (such as >), you can double quote the criteria or without double quote. To avoid confusion, I would recommend to use double quote under all circumstances.